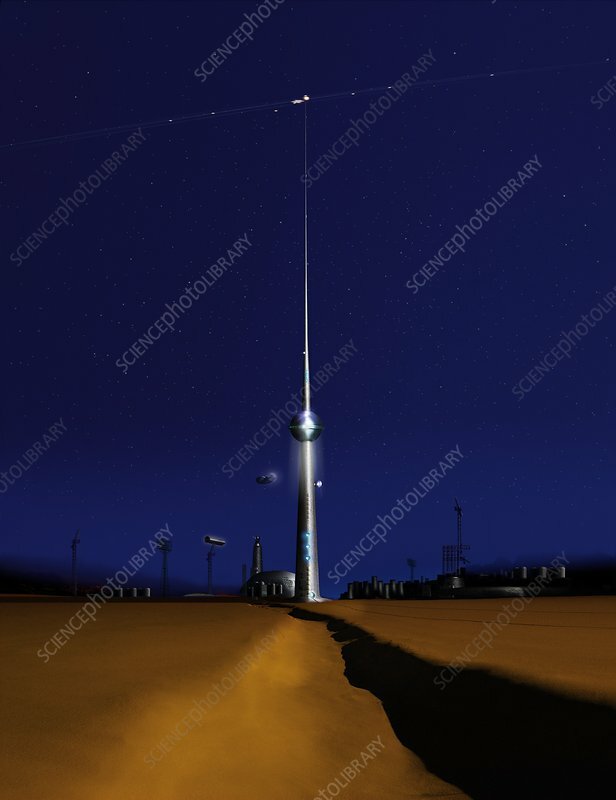 Space elevator, conceptual image. Computer artwork of a view towards an elevator that reaches from the Earth's surface to space. To remain stable, the elevator needs to rise all the way to geostationary orbit at a height of 35,900 kilometres, with a counterweight above that. Immensely strong materials (such as carbon nanotubes) would be needed to build this structure, which is a cross between a tower and a rope.